Few years ago, the Nigeria mobile market was dominated by the likes of Nokia, Apple, Samsung, HTC and Blackberry. Along came Tecno with cheap and affordable smartphones, within a few years it has become a popular smartphone brand in Nigeria. As I noted in “Top selling smartphone brands in Nigeria 2013”, Tecno made it to the second spot of that list for its success in selling millions of cheap and affordable smartphones to Nigerians. Ever since then other new smartphone brands have flooded the Nigerian market with even cheaper smartphones. The success of Tecno in Nigeria has encouraged these new smartphone brands to enter into the Nigerian mobile market with cheap and affordable smartphones with very awesome configurations. So in this article I want to introduce you to the new smartphone brands in Nigeria today you should consider checking out. Xiaomi is one of the top new smartphone brands in Nigeria. Xiaomi is one of the biggest electronics company in China that develops and sell top quality smartphones. Now they have entered the Nigerian market with the Xiaomi Mi3 smartphone and other accessories. 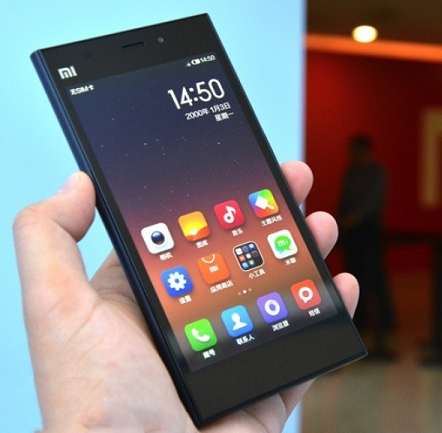 Xiaomi Mi3 is top class smartphone built to last. With a Qualcomm Snapdragon 800 processor clocked at 2.3GHz and 2GB RAM and an internal memory of 16GB/64GB ROM, 5.0 inch IPS 1920x1080p, 13MP rear camera and 2.0 MP front camera with dual LED flash, 3050mAh lithium-ion battery and sleek design of 144.0×76.3×8.1mm dimensions, the Xiaomi Mi3 is a must have for anyone who likes to be identified with style and top quality. Infinix is yet another new smartphone brand in Nigeria making waves in the mobile market with its awesome Infinix Zero smartphone with Gorilla 3 glass casing. I can’t explain to you enough the awesomeness of this phone when I touched it for the first time. The Infinix Zero smartphone is a dual SIM smartphone running on Android 4.4.2 KitKat with a powerful Octa-Core 1.4GHZ processor and 1GB RAM, 13MP rear camera and 2MP front camera with a 5.0” IPS display with a resolution of 720 x 1280 pixels. This is just the smartphone you need to buy if you love to look elegant and stylish. 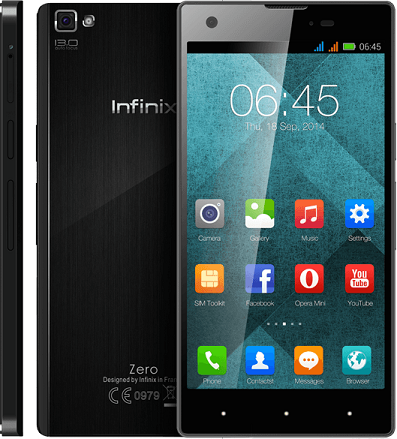 The Infinix Zero is very affordable and will definitely make a mark in the Nigerian mobile market. 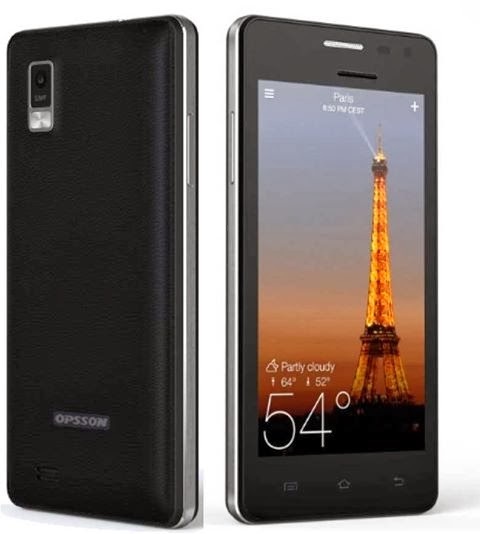 The Opsson smartphone brand has been making its way into the hands on Nigerians with their cheap and affordable smartphones. The Opsson smartphone brand has several cheap products in the market already such as Opsson D1, Opsson L1, Opsson L2, Opsson P6, Opsson 6655s and Opsson L5. While the Opsson smartphones may not be as top quality as the two mentioned above, it is even cheaper. Opsson smartphones are just mid-range phones with standard smartphone features and specifications. You can check out the Opsson smartphone specifications and prices. If you are looking for a very cheap smartphone running on the Android OS, you may consider looking at the Opsson brand. The Innjoo smartphone brand is yet another new entrant into the Nigerian mobile market with two awesome and cheap smartphones – Innjoo i2 and Innjoo i1s. The Innjoo smartphones are insanely cheap for their specifications and one you should consider buying. The Innjoo i1s has a 1GB RAM, 8GB internal memory and microSD slot expandable up to 32GB, 8.0MP rear camera, 0.3 front camera and 5.0 IPS screen with 854×480 resolution. It has a Quad core processor clocked at 1.3GHz running on Android 4.4 Kit kat OS. The Innjoo i2 is even better with MTK Octa? ?Core ARM Cortex? ?A7 1.4GHz processor, 1GB RAM, 8GB internal memory and 5inch IPS screen with 1280×720 HD resolution. The new smartphone brands in Nigeria are already making names for themselves. Among the lots these four are the most likely to succeed just as Tecno did some years ago. With lots of new smartphones introduced into the Nigerian mobile market on daily basis, the future is simply bright for Nigerian smartphone users as the competition will drive prices down and also usher in top quality products are cheaper prices. What do you think about these brands? Let me hear what you have to say about the new smartphone brands in Nigeria. It is interesting to see new phone brands enter the Nigerian market. At first people had a certain type of knowledge that the only good phones to use are the likes of Nokia, Samsung, Sony Ericsson etc, but the introduction of Tecno and their cheap mid-range smartphones changed such ideas. The future is only bright for this country and mobile technology as more and more brands wil come in to raise the competition even further.